Hello guys I don't know whether how many of you people have experienced this issue like what i had before. If you find that your computer system turns on only after a long time and rapidly increases its time to turn on, but once its ON you will find it works well and good. But after some days or months you will find your system being dump, not even turn ON at all, even after hours. Time Delay between 15 to 30 minutes to turn on the computer. Finally no response from the monitor, but you will find your CPU running firmly. I have mentioned some prediction that users will make, where the actual problem resides. Where & What people usually think and check. And eventually you will find everything works fine, then what could be the actual problem is. Have you ever had an idea of checking your Desktop Monitor ! 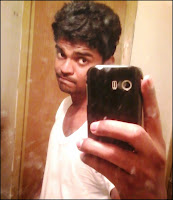 If not first check it. Many Desktop users around the world don't worried about UPS unless or until they met with the problem, but its actually a must thing for every computers. The UPS will filter the high voltage and send the required amount of voltage that is necessary for running a computer ie.220v-230v. The actual problem with your Monitor is that "A blast in capacitor". capacitor will handover the voltage variation's, but when it continuous simultaneously, it will get you into critical situation. A blast in monitor capacitor is due to variation in voltage current, due to imbalance power supply without UPS. Fig: Representing The Capacitor Blast In Your Monitor Circuit Board Due To Voltage Variation. 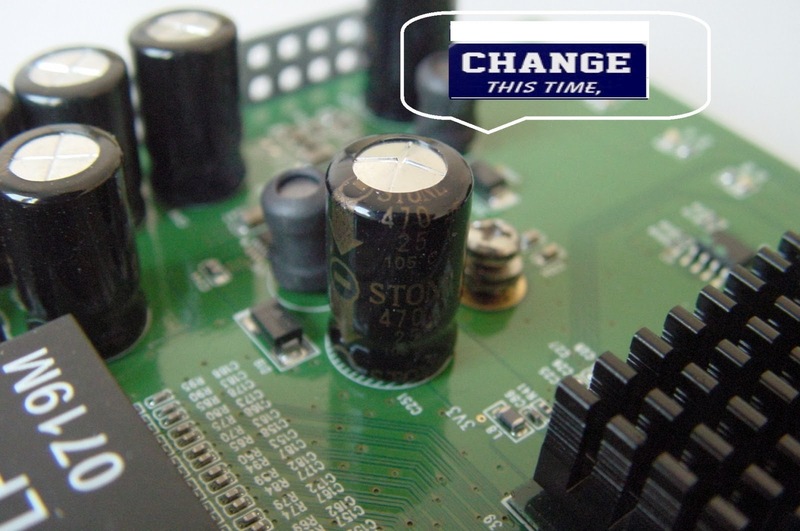 Replace your 470uf 25v capacitor just like above image with a new one. The above mentioned capacitor is just an example, Check your capacitor type and voltage before replacing. If you find any other capacitors nearby change it too, because the defects that caused by the voltage variation would have affected all the other capacitors nearby. Note: Kindly call a technician to do all these, because it involves welding capacitors, to replace the OLD one, with the circuit board, it is possible that you could damage the board as well. Check the 470uf 25v capacitor price list here in this link. The capacitor's won't cost you much, so its better to replace the capacitor than replacing the whole montior.